Polymer resin in powder form that is odorless, user and environment friendly. Add it to cement and lime mortars to increase their properties. 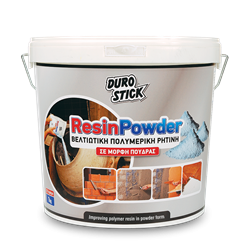 • Floor primer to prevent dusting and impart abrasion resistance • Surface stabilizer of unsound concrete or plaster surfaces. Exceptional as primer for: Increased adhesion of gypsum based plasters on extruded polystyrene boards. Depending on the application and the desired level of improvement.